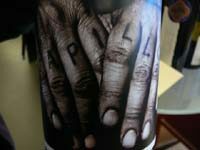 Orin Swift Papillon is a dark-colored red wine produced by the Orin Swift Cellars winery in the Napa Valley of California. Its 2008 vintage offers powerful dark fruits (dark cherry, blueberry, blackcurrant) on the nose. It showcases a dense mouth with almost creamy feelings. The fruits aromas are still strong associated with spices. 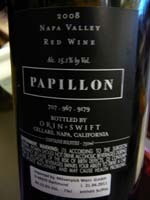 The Orin Swift Papillon 2008 has a very long finish for a wine that is both aromatically complex and immediately charming.